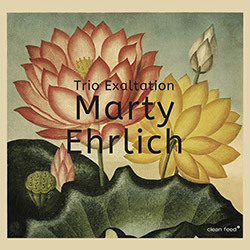 With a history of playing together in the Andrew Hill Sextet, Marty Ehrlich immediately chose bassist John Hebert and drummer Nasheet Waits to join Ehrlich in his new trio endeavor, the multi-wind & reed player on alto sax, clarinet, bass clarinet and wooden flutes as they perform 9 lyrical and sophisticated Ehrlich compositions, plus one by Andrew Hill. 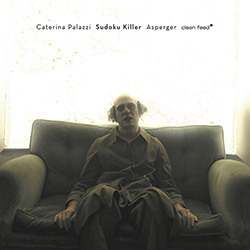 A wicked hybrid of jazz, avant rock and cinematic elements, bassist Caterina Palazzi's quintet Sudoku Killer takes on the music of Disney in a suite where each track is dedicated to an antagonist from movies like "Snow White" or "Sleeping Beauty", performed with Giacomo Ancillotto (guitar), Maurizio Chiavaro (drums), Sergio Pomante (sax) and Antonio Raia (sax). 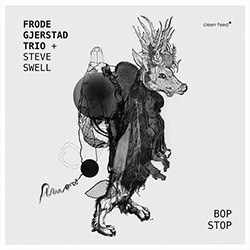 Multi-reedist and wind player Alberto Pinton's quartet Noi Siamo ("We Are") with Niklas Barno on trumpet, Torbjorn Zetterberg on bass and Konrad Agnas on drums, are caught at the Swedish Glenn Miller Cafe in Stockholm for this exciting album of knowledgable and passionate free jazz, a dynamic concert referencing Eric Dolphy, Freddy Hubbard, and Ornette Coleman. 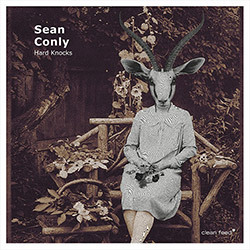 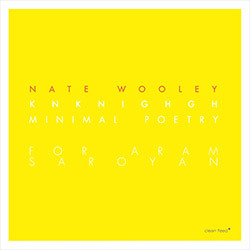 The history of bassist Sean Conly's collaborations and releases shows a strong love of the jazz tradition and a perceptive writing style that references that tradition, heard here in free and lyrical original Conly compositions performed in the studio in a trio setting with fellow New York musicians Satoshi Takeishi on drums and Michael Attias on alto saxophone. 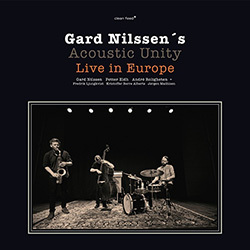 The Norwegian quartet formerly known as "Damp" with baritone guitarist Asbjorn Lerheim, tenor saxophonist Atle Nymo, drummer Torstein Lofthus, and double bassist Roger Arntzen, blend expressive forms of jazz with blues and rock in an expansive and rich set of tunes that both pay homage and look to new and inclusive formations of emotional and effusive music. 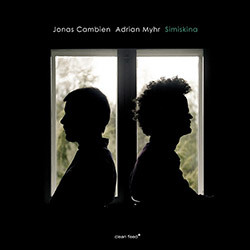 With a discography of both contemporary and improvised music, Beligan pianist residing in Norway Jonas Cambien (Platform, Karokh) joins forces with Norwegian double bassist Adrian Myhr (Delius, Dorner, Buck) for an album that balances concentrative and muscular interplay, influenced by Cambien's piano preparations and Myhr's sophisticated techniques. 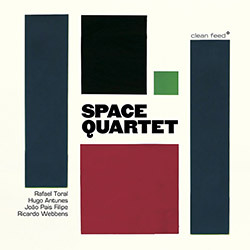 With orchestration of harp, daxophone, idiophones, piano, cello, guitar, percussion, sampling & electronics, the Portuguese quintet Turbamulta (roughly translates to "rowdy mob", though clearly a very sophisticated mob) was born from the band Powertrio of Eduardo Raon, Joana Sa and Luis Martins, expanded to blend compositional, EA and improv approaches into something unique and beautiful. 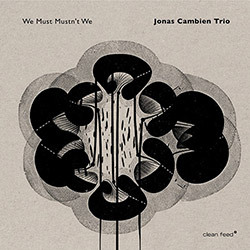 A peer of Tim Berne, David Binney, Sabir Mateen, Mark Helias, &c., Slovenian guitarist Samo Salamon presents an album of original compositions and one collective improvisation from his ever-changing Bassless Trio, here with drummer Roberto Dani and saxophonist Tony Malaby on tenor and soprano, in an introspective album of profound technique and lyrical playing. 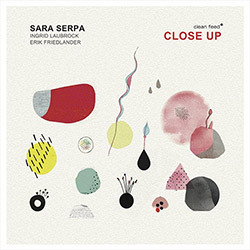 Lisbon, Portugal native, singer and composer Sara Serpa in a trio with saxophonist Ingrid Laubrock and cellist Erik Friedlander, recording live at Pete's House, in Brooklyn, for an album of unusual and creative vocals inspired by experimentation and changing identities, bringing a unique approach to improvised voice, here in the company of accomplished players. 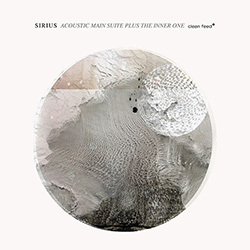 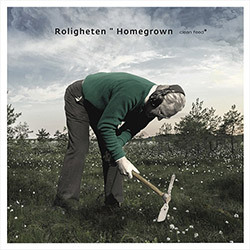 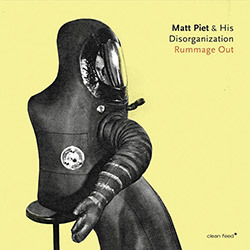 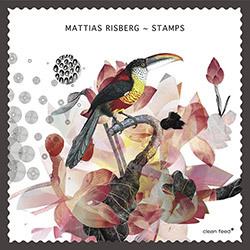 Swedish pianist Mattias Risberg demonstrates the passion he dedicates to vintage instruments like mellotron, Hammond organ, analog synthesizers, clavichord and pipe organs, here in a solo album of piano, with some light preparations, and the pedals of a Moog Taurus, in an inventive album of improvisations inspired by the vivid images of postage stamps. 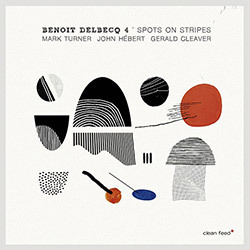 French pianist Benoit Delbecq brings together frequent collaborators from New York--Mark Turner on tenor saxophone and drummer Gerald Cleaver--and from Paris--Delbecq himself and double bassist John Hebert--for an album of refined and inventive contemporary jazz, the work of masterful players with years of experience and collaborations dating back to 2003. 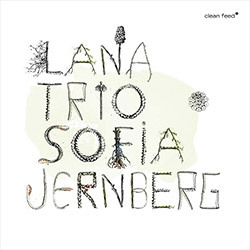 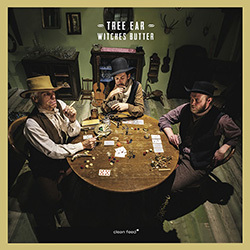 After percussionist and composer Gerry Hemingway migrated to Luzern, Switzerland he joined forces with the creative improvising community in that city, in particular with guitarist Manuel Troller and saxophonist and bass clarinetist Sebastian Strinning, the trio taking the name Tree Ear, blending free and idiomatic improv in bold, uncommon and spellbinding ways. 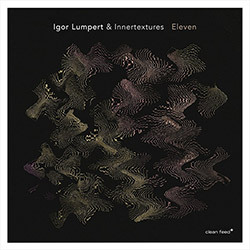 The 3rd release of saxophonist Igor Lumpert's Innertextures, expanded to a quartet with the Chicago saxophonist Greg Ward joining the previous trio of Chris Tordini on double bass, and now with Kenny Grohowski on drums, with trumpeter Jonathan Finlayson joining on two tracks and bass clarinetist John Ellis on another, all performing Lumpert's exuberant and clever compositions. 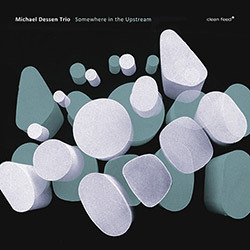 Blending the acoustic aspects of his regularly performing trio with unusual electronics, trombonist Michael Dessen's NY trio with bassist Christopher Tordini and drummer Dan Weiss carve out a unique territory that balances lyrical, aggressive, and swinging aspects of free jazz with other-worldly interactions, in an album honoring late saxophonist Yusef Lateef. 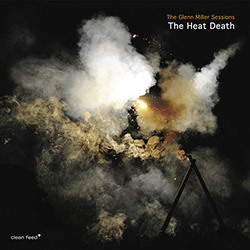 With members of The Core, Angles 9, Cortex, &c. The Heat Death is a Norwegian quintet with dual reeds and winds from Kjetil Moster & Martin Kuchen, Mats Aleklint on trombone, Olay Hoyer on bass, and Dag Erik Knedal Andersen on drums, a blazing band of energetic, informed and joyful free improv in a long-anticipated releases presenting 3 CDs of extended play. 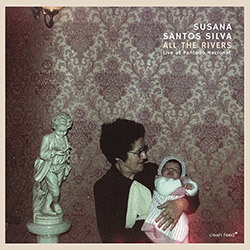 Exploring the ambient sound of the immense marble temple of the Portuguese National Pantheon, trumpeter Susana Santos Silva recorded this beautiful and spiritual solo improvisation as part of the Rescaldo Festival, adding tin whistle and bells as her stunning tone and impressive technique resonated and invoked the spirit of this 17th century monument. 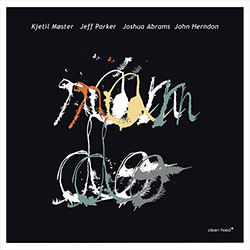 Chicago and Norway free improvisers come together in the quartet of Kjetil Moster (tenor sax), Jeff Parker (guitar), John Herndon (drums) and Joshua Abrams (double bass), having played once in Chicago's bar Rodan in 2008, and finally reunited to bring this album, blending polyrhythmic, rock, jazz, free playing, textural and grooves together into an exhilarating music. 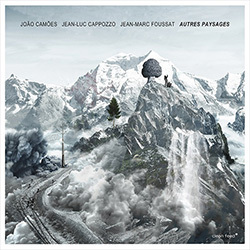 "Autres Paysages" or "Other Landscapes" pins the description on the rich, turbulent, and mesmerizing music this trio creates, with French violist Joao Camoes and Jean-Marc Foussat on the EMS Synthi AKS collaborating for their 3rd album, joined by trumpeter Jean-Luc Cappozzo, as acoustics and electronics subsume and survive seamlessly in an inspired set of recordings. 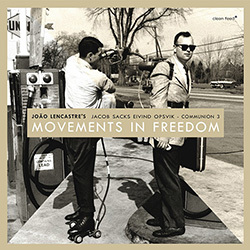 Communion is Portuguese drummer and composer Joao Lencastre's project to bring musicians from the American and international jazz scenes together, here in his 3rd release presenting a piano trio with two New Yorkers--pianist Jacob Sack and Norwegian bassist living in New York, Eivind Opsvik--for 3 Lencastre compositions, 1 Ornette Coleman piece, and 6 collective compositions. 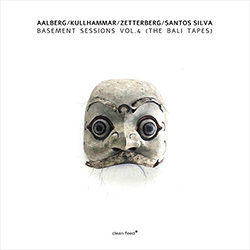 The 4th volumes of this remarkable set of "basement sessions" from the Swedish trio of Espen Aalberg on drums & percussion, Jonas Kullhammar on saxophone & flute, and Torbjorn Zetterberg on bass, joined by Susana Santos Silva on trumpet, for a beautiful album of free hard bop, encompassing spiritual and ritual aspects of gamelan music in a unique and wonderful album. 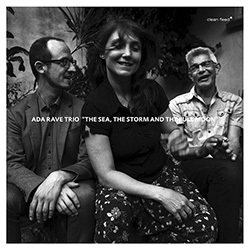 Mixing free jazz and and open-minded collective improv using unusual techniques from Argentinian-born, Amsterdam-based saxophonist Ada Rave and her trio with German prepared guitarist Nicola L. Hein and Netherland bassist Wilbert De Joode, blending lyrical formats as she seeks new paths in the combination of written composition and spontaneous improvisation. 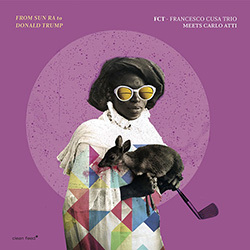 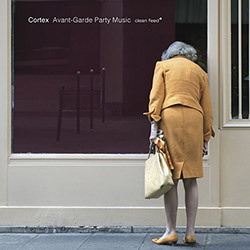 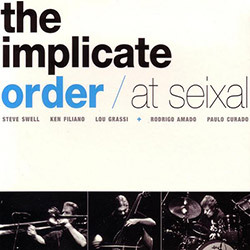 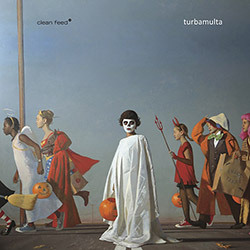 With humorous titles referencing everything from Sun Ra to Donald Trump, Italian drummer Francesco Cusa's quartet with Carlo Atti (sax), Simone Graziano (piano) and Gabriele Evangelista (bass), reimagine the concepts of traditional jazz standards and formats into contemporatry approaches of composition and playing, in a serious and lyrical album of modern creative jazz. 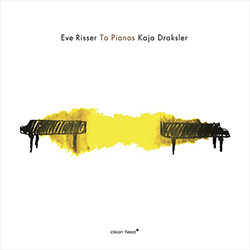 Two pianists dedicate to their instruments at the Gallus Hall of Cankarjev Dom during the 57th Jazz Festival Ljubljana: Paris-based pianist Eve Risser (Umlaut, En-Corps, &c) and Slovenian pianist Kaja Draskler (I/O, Draskler Octet, &c.), to record these inventive duos, weaving their keys together or working inside and out of the piano in incredible sonic approaches. 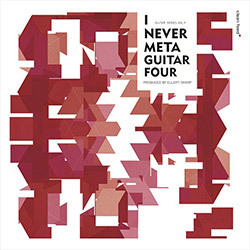 The fourth in the Elliot Sharp curated "Meta Guitar" series brings a wealth of diverse styles and approaches to the guitar, from Knox Chandler, Tashi Dorji, Monika Roscher, Rhys Chatham, Kalle Kalima, Ryan Choi, Marco Oppedisano, Bern Nix, Markus Reuter, Hahn Rowe, Pete Matthiessen, Robert Poss, Ron Anderson, Morgan Craft, Roberto Zorzi, and Erdem Helvacioglu. 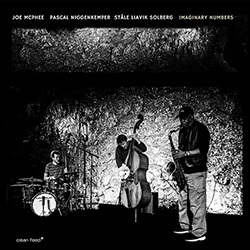 Saxophonist and bass clarinetist Andre Roligheten leads his quartet with Adrian Loseth Waade on violin, Jon Rune Strom on double bass, and Erik Nylander on drums and percussion through 7 original compositions and Ornette Coleman's "Kathleen Gray", writing for the players, particularly the combination of sax and violin, and the flexibility of a chordless quartet. 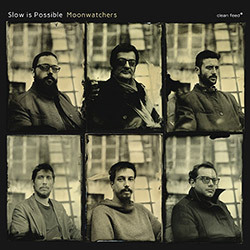 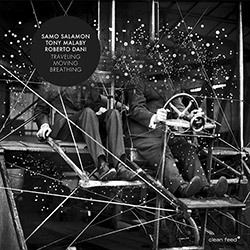 A stunningly beautiful album of langurous jazz from a sextet collective of young Portuguese musicians, self-described as a chamber band for the new century, in their 2nd album using melodic elements alongside classical contemporay music, post-rock, alternative metal, intelligent pop, free improvisation and more, creating a rich and embraceable music. 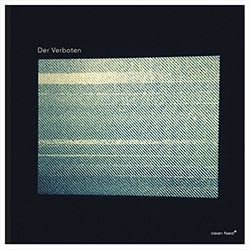 Originally called Treffpunkt, or "meeting point", the partnership of violist Frantz Loriot and pianist Cedric Piromalli has evolved as they added collaborators to their idiosyncratic approach to improv, here with guests Antoine Chessex on tenor sax and Christian Wolfarth on percussion and cymbals for an extended, upbeat and wonderfully creative performance. 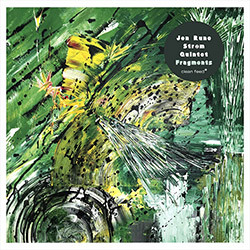 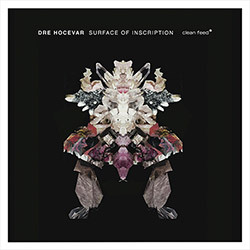 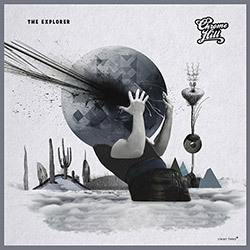 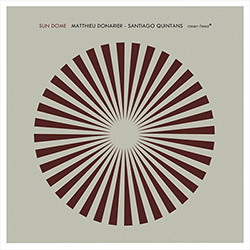 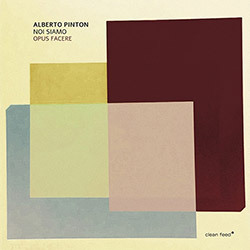 Using a diverse set of strategies in free improvisation, from abstract textures, sonic and microtonal exploration to solid counterpoint, French saxophonist Matthieu Donarier and Spanish electric guitarist residing in France Santiago Quintans delight in the variety and dynamic approach to their album, in 14 tracks that surprise and captivate their listeners. 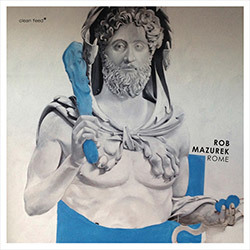 Rob Mazurek solo works are brilliant displays of honest, lyrical and emotional playing, here recording in Rome for Radio Roma, bringing the cornet to the foreground, starting with a piece only on the horn, then adding electronics, piano, and prepared piano for a set of ethereal and spiritual improvisations that are not bound by any specific genre. 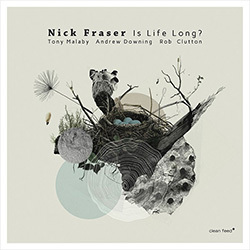 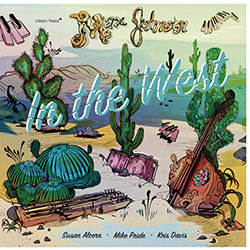 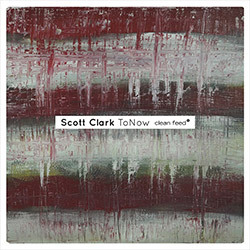 New York bassist Max Johnson expands his piano trio of Kris Davis on piano and Mike Pride on drums with Susan Alcorn on pedal steel guitar, adding an eclectic Western flavor to overall on-point, anchored and driven modern jazz of a high order, balancing lyrical playing with moments of free collective playing, in a beautiful and extraordinary album.